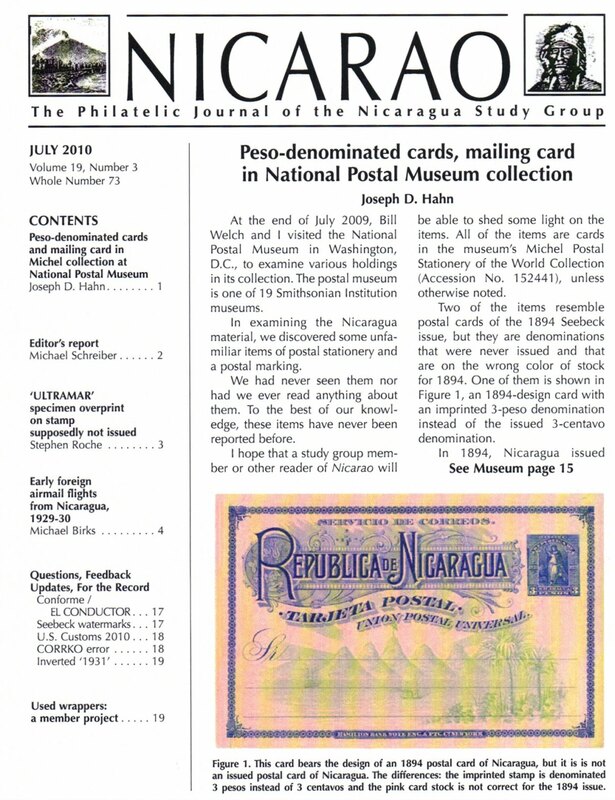 The art and science of philately and postal history with some personal comments, stories and observations. The emphasis will be on Latin America but can include other areas as well. 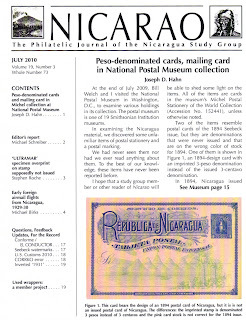 In April of 2010, I wrote about some Venezuelan essays that were in the Bill Welch collection. 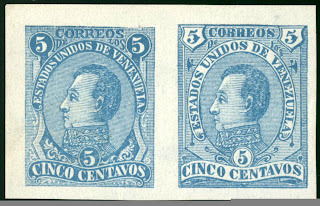 Both Bill and I thought that these probably were a product of N. F. Seebeck because of the similarity to the essays from the Colombian State of Bolivar. I have not been presented with any evidence that would cause me to change my mind. 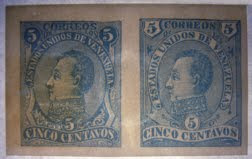 Further, we felt that these essays probably dated from the early 1880s due to the currency change in 1880. I am including the scans sent to me and I hope other readers will check their holdings of this essay to see if they have any material that would confirm or refute the “1880” date. I am not sure how well the figures “8 0” will show up but can attest that they are there. 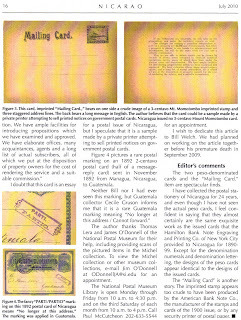 As mentioned in an earlier post, Bill Welch was especially fond of Essays, Proofs and Covers. 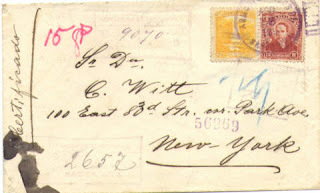 Here is a charming postal stationery place proof and cover. 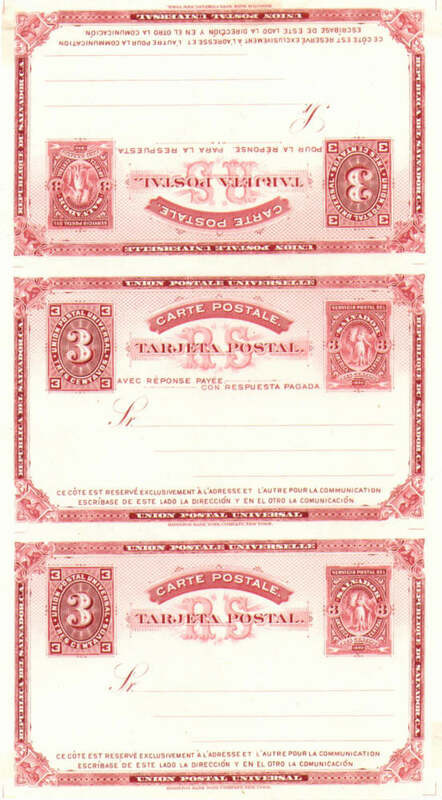 A plate proof on India paper showing the plate layout for the 1890 3 centavos single and message & reply postal cards. 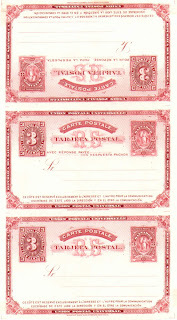 Bill had these in several different colors, although none are very common. A lovely 1893 cover from San Salvador to Cincinnati, Ohio. 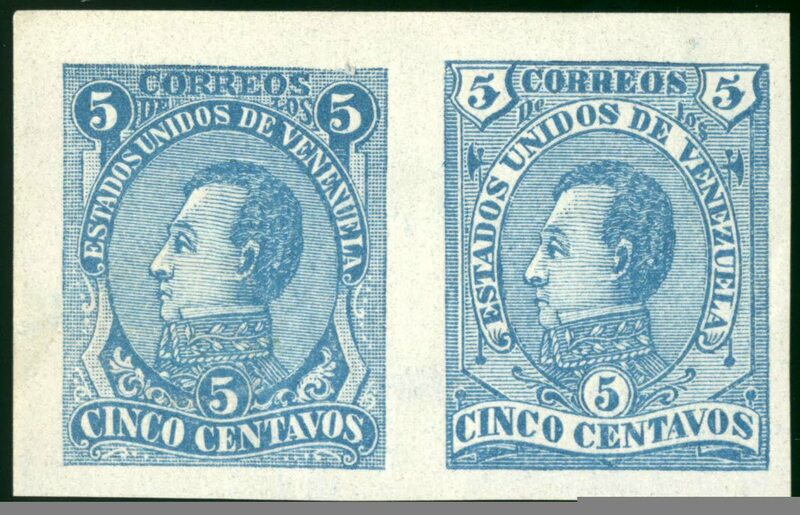 The 25c value is not common on cover. 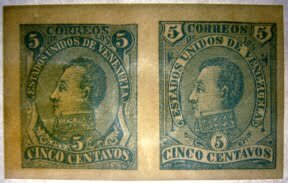 These stamps paid 4 times the postage rate (11c per 15g), registration (10c) and Acknowledgement of Receipt (5c) with an 8c overpayment. 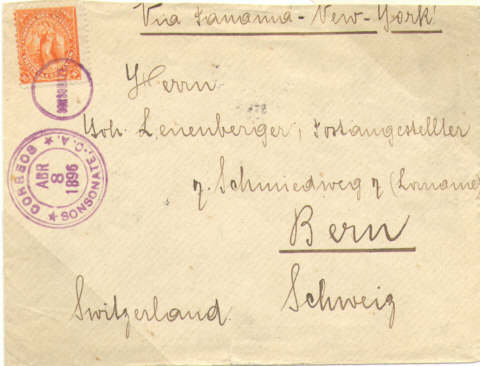 The 20c postal stationery of 1892 used to Germany. 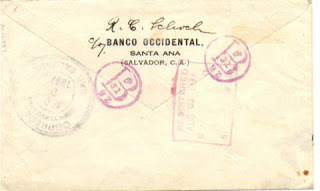 The registration fee was 10 centavos and the postal fee was 11c so this was underpaid by 1c. 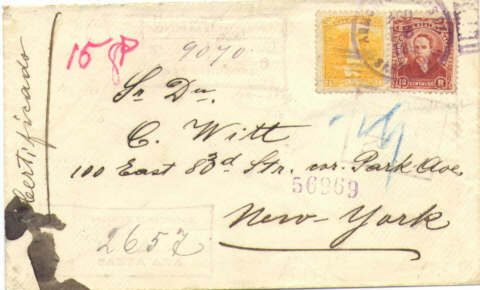 High denomination postal stationery items are very scarce used. 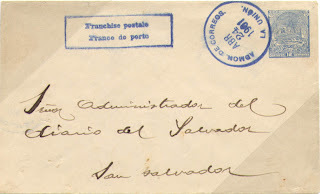 This is a domestic official mail item. 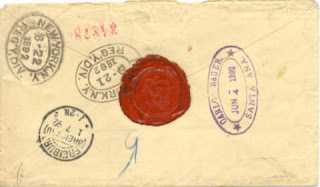 No stamps were ever needed for domestic official mail. 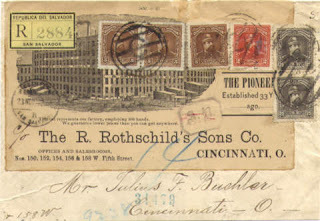 The use of the demonetized 1897 envelope was just for an envelope. The 12c paid nothing. Bill's collection of Seebeck issues was heavy in essays, proofs and covers since that was a primary interest of his. Here are some nice El Salvador covers from his collection. 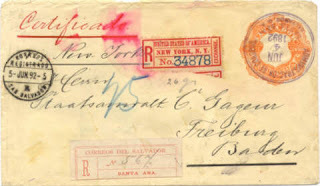 A charming cover from Santa Ana to New York. The 10c registration stamp is not common on cover. The 24c paid the double rate via San Francisco. 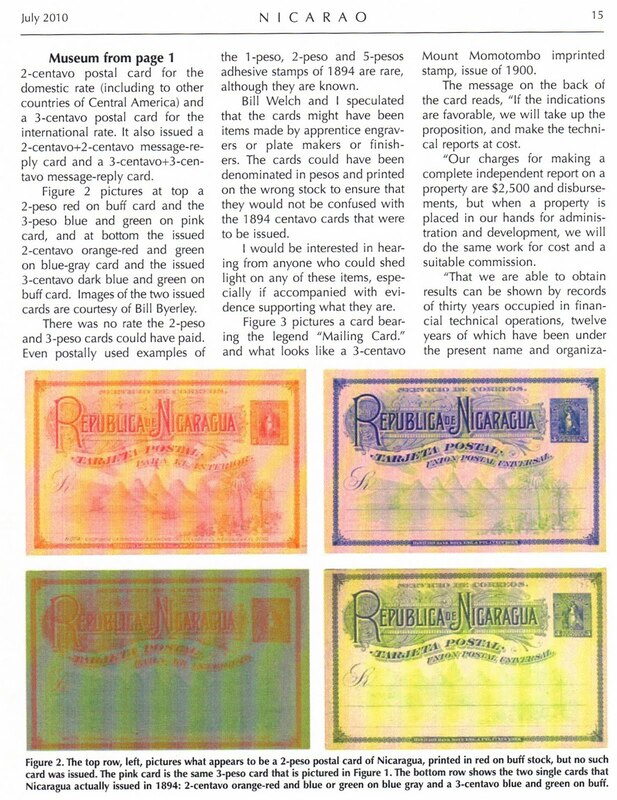 Note the color of the 24c. It is an orangish-yellow. 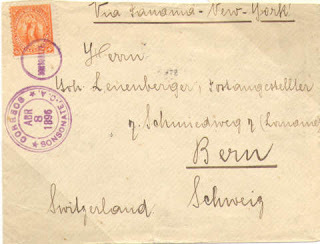 This is the color of the original. 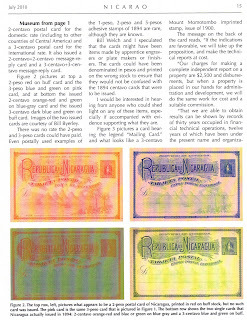 Any other color on the 24c is a reprint! 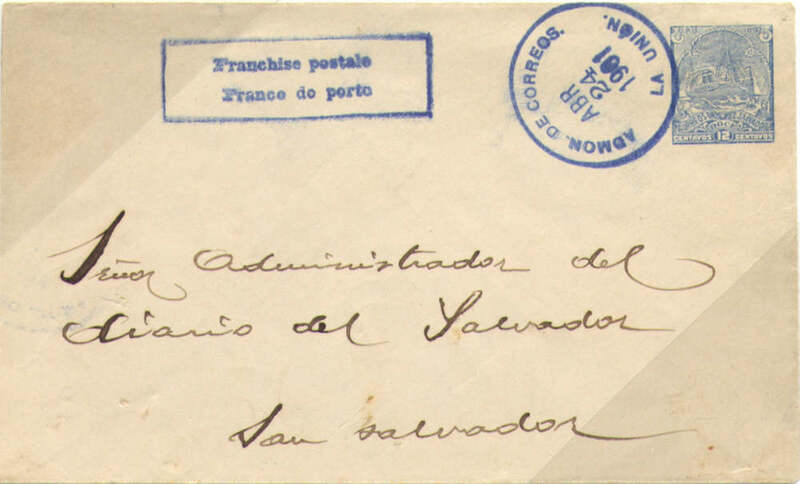 A double rate cover (2 times 15c per 15g) from Sonsonate to Switzerland paid by the 30 centavos first issue of 1896. Get the Eco-Safe widget and many other great free widgets at Widgetbox!